[Boston Herald] McMURDO STATION, Antarctica — U.S. Secretary of State John Kerry didn’t comment on Donald Trump’s election victory while visiting Antarctica, but did say that citizens who care about limiting emissions might have to march in the streets to push for more aggressive action. 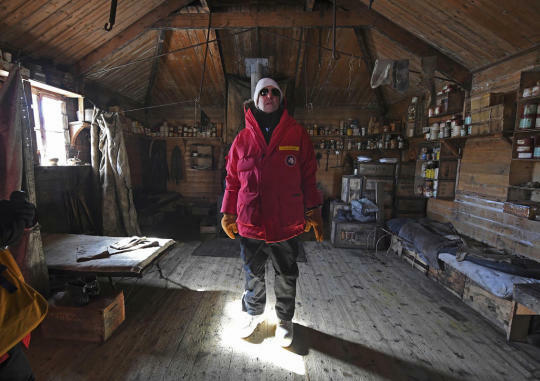 Kerry became the highest-ranking American official to visit Antarctica when he landed for a two-day trip on Friday. He’s been hearing from scientists about the impact of climate change on the frozen continent. Trump has called climate change a hoax and said he would “cancel” U.S. involvement in the landmark Paris Agreement on global warming. Kerry said there was a risk that much of Antarctica’s ice will eventually flow into the ocean, raising sea levels worldwide. Despite the Paris agreement to cut the fossil-fuel emissions causing the planet to warm, “we haven’t won the battle yet,” Kerry said to the audience that included many young people involved in climate research. Earlier, a planned visit to the South Pole was scrapped because of bad weather. 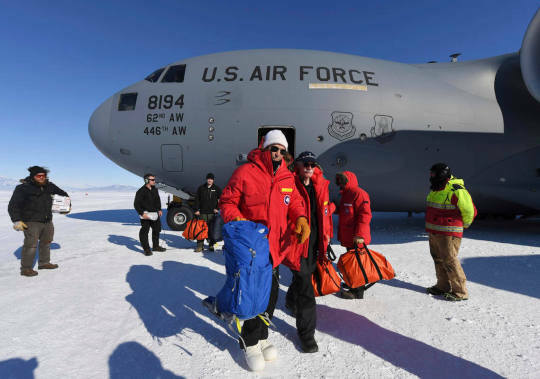 Instead, Kerry and members of his entourage were taken on a helicopter tour of the McMurdo Dry Valleys, one of the few parts of Antarctica that are largely free of ice year-round. 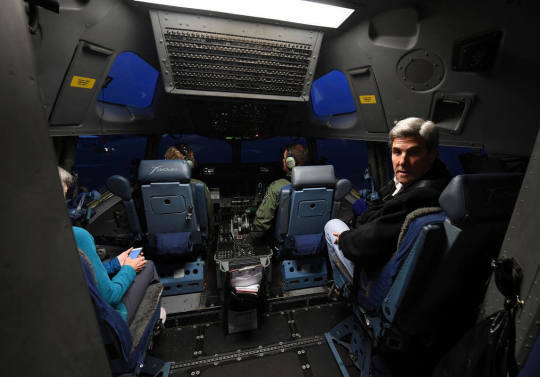 Kerry left from New Zealand early Friday aboard a C-17 Globemaster military cargo plane after being held up for about a day by bad weather. An experienced pilot, Kerry spent much of the flight in the cockpit of the huge jet, chatting with the pilots. After a smooth trip of about five hours, the group landed on the Pegasus Ice Runway, the strip of ice that serves McMurdo. Kerry’s aides described the trip as a learning opportunity for the secretary of state. He has been receiving briefings from scientists working to understand the effects of climate change on Antarctica. Kerry has made climate change an intensive focus of American diplomacy during his term, and had previously spent decades working on the issue as a U.S. senator. He planned to return to New Zealand on Saturday for a meeting with Prime Minister John Key. Kerry plans to fly next week to the Middle East for talks, and then onward to a global climate conference in Morocco, where he will give a major speech. [Zurich Times] Why is the current Secretary of the United States Corporation visiting of all places the Border Nation of Antarctica? Could if have anything to do with taking orders from his Nazi Overlords who are hiding there? 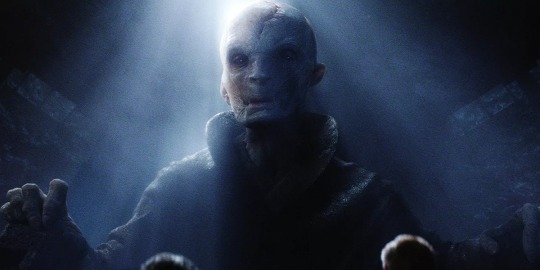 It reminds us on that scene from the new Star Wars movie where the Agents of Darkness go to a Cave to meet with their Luciferian God Supreme Leader Snoke that is in fact a Hologram. Antarctica back in February 2016? 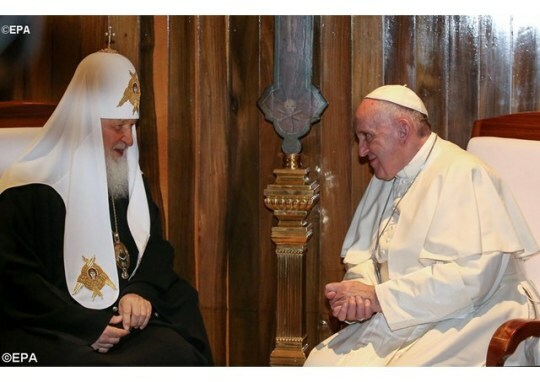 Any connection to the Ark of Gabriel that was found buried under the Grand Mosque in Mecca or perhaps it had something to do with the signing of the Joint Declaration between the Vatican and the Russian Orthodox Church after 1000 year old rift? What dark secrets are buried under this Border Island Nation that holds the key to the entire Flat Earth Movement?